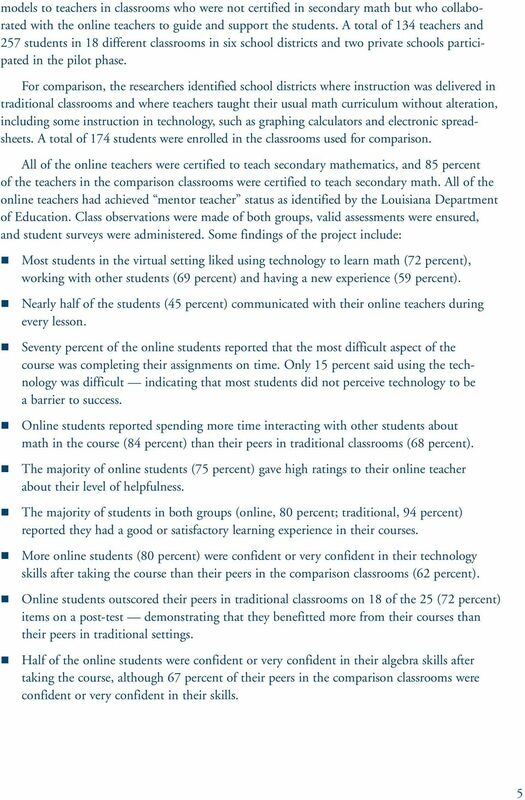 Download "Overcoming Doubts About Online Learning"
3 Overcoming Doubts About Online Learning A recent survey estimates that more than one million U.S. public school students now take classes online and that number is growing. As the 21st century s first decade draws to a close, America s public school students are participating in online academic classes in increasingly large numbers. More than one million K-12 public school students took online courses in the school year, according to an estimate in a recent Sloan Consortium survey. 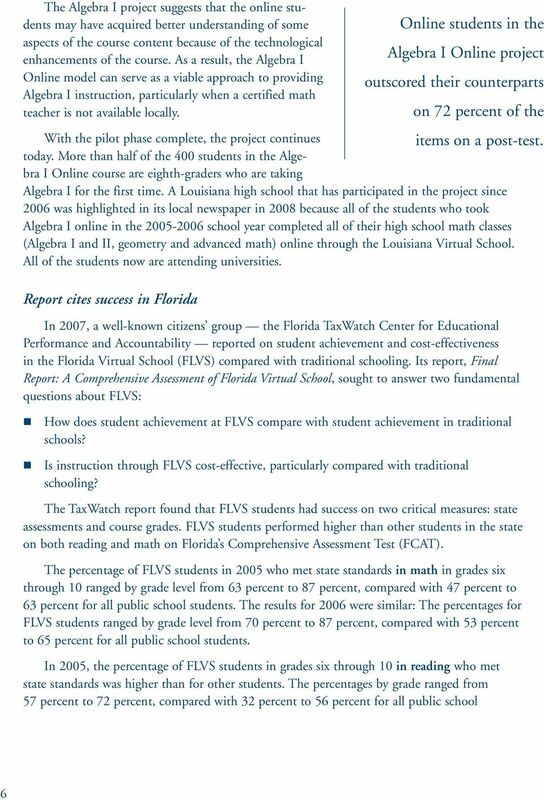 This represents a 47 percent increase from 2005 to 2007 alone. With such rapid growth, many educators and state decision-makers have grown wary and want to know what the research says about online learning: They want to know if it works. Available research indicates that it does. Policy-makers do have some valid concerns. 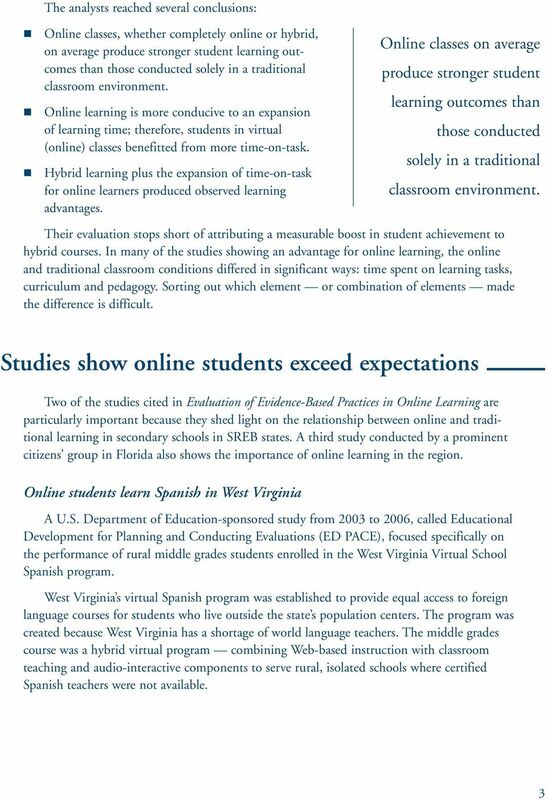 Some educators and state leaders do not understand how Webbased courses can be effective and are not convinced that access to online courses is important for students. Some resist different ways of teaching and learning and are unwilling to incorporate student participation in online courses as part of school programs. Others find it disconcerting that these courses often are taught in locations remote from schools. Teachers and students are not in each other s physical presence and one or both might be at home. Technology mediates the interaction among students and between students and their teachers. Instruction is focused entirely on students learning, not on teachers teaching. 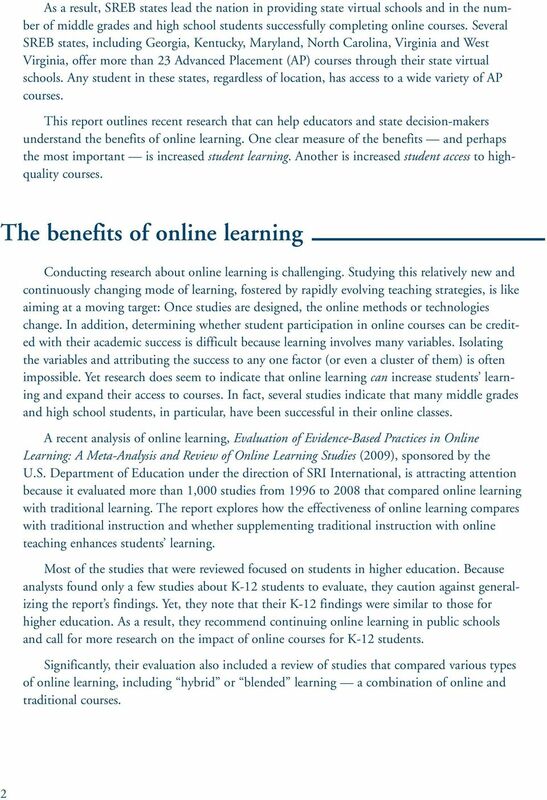 Many educators and state decision-makers want to know what research says about online learning: They want to know if it works. Simply put, online courses are a dramatic departure from traditional classes, and state leaders rightly want assurance that these courses are effective before they endorse them further and commit more time and resources to their development. 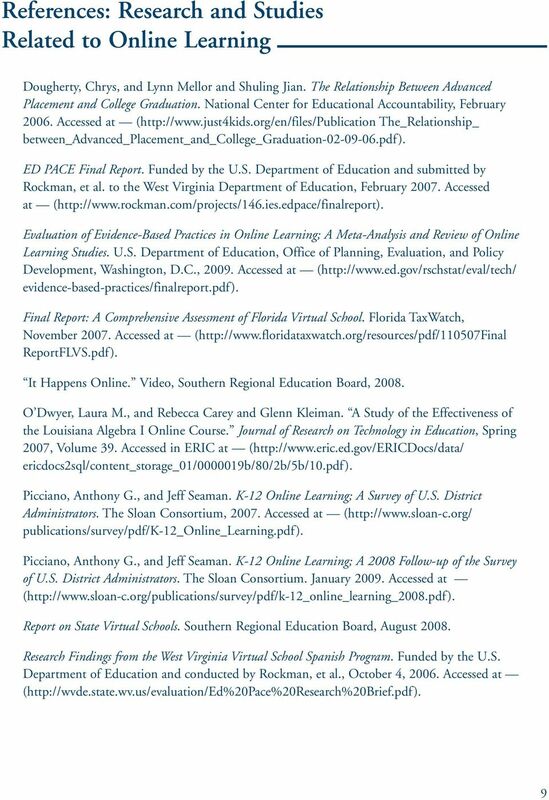 Yet, if having research-based evidence to document successful online learning had been a requirement before SREB states established virtual (online) schools, the success stories that have emerged in the region would not have been written. 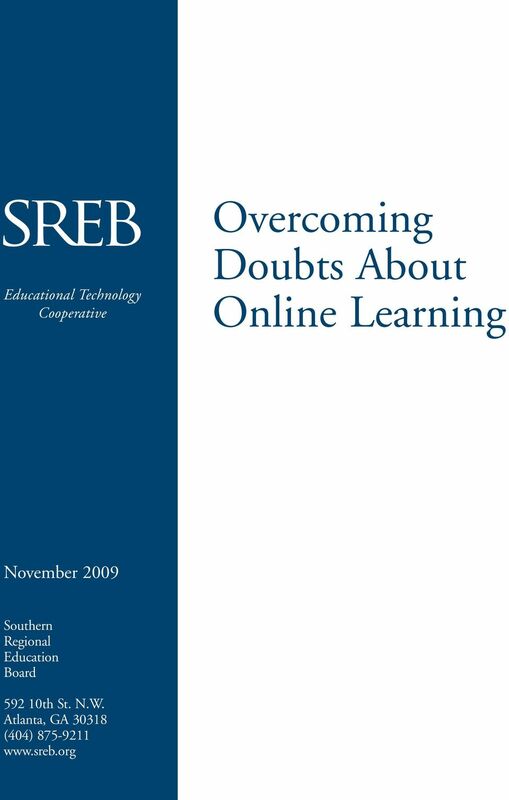 Many legislators in SREB states believed in online learning well before research could firmly support it. They voted to approve funding for their respective state virtual school to give students access to academic courses that otherwise would be unavailable to them. They voted to do so even though they knew they were providing double-funding for these students for their enrollment both in their traditional school and in the online courses. Equity of access to certain courses outweighed the cost of the double allocation. 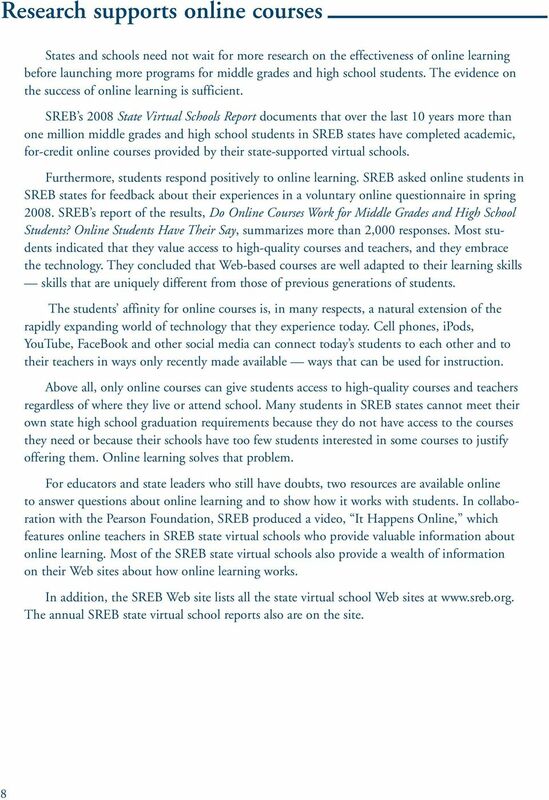 Online Teachers: What Can SREB States Do to Ensure Competence and Quality? Redefining Teacher Education: K-12 Online-Blended Learning and Virtual Schools Susan Patrick CEO, International Association for K-12 Online Learning and former Director of Educational Technology, U.S.
Research Proposal: Evaluating the Effectiveness of Online Learning as. 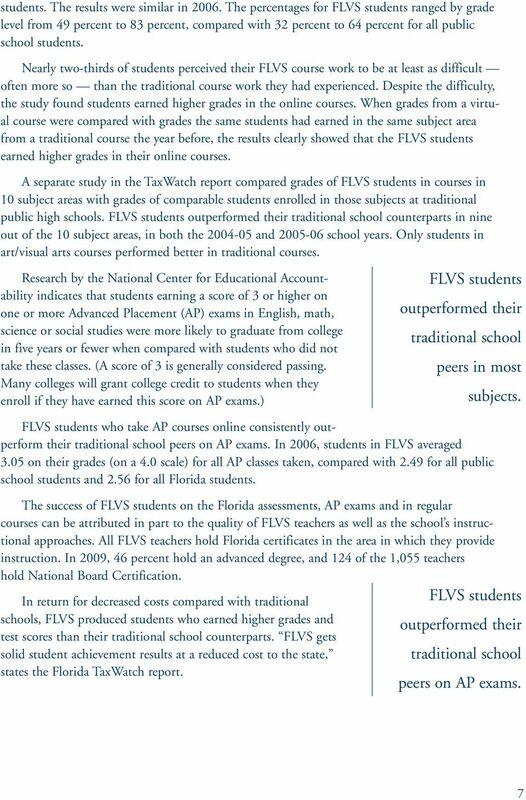 Opposed to Traditional Classroom Delivered Instruction. Mark R.
Are Web-Based Courses Right For My Child? DELAWARE VIRTUAL SCHOOL. Right Opportunity. Right Time. 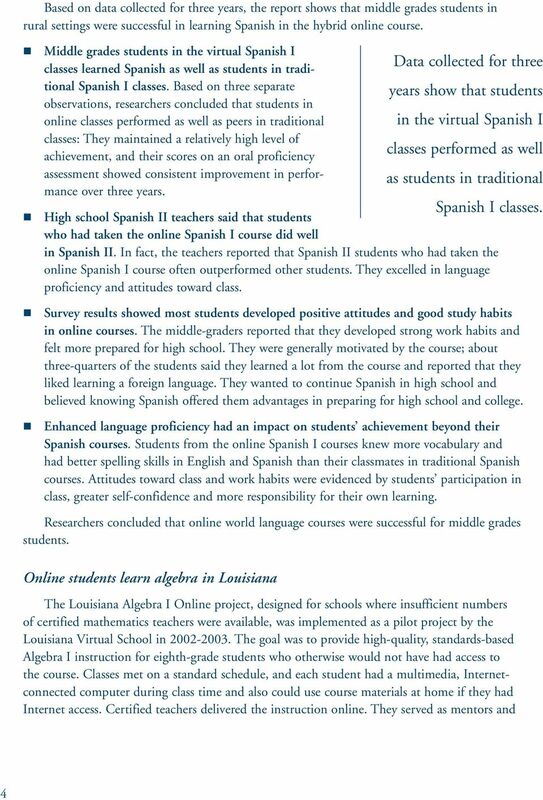 Dual Language Program Questions and Answers: What does research say? So what s a state to do? Some recent research provides guidance.